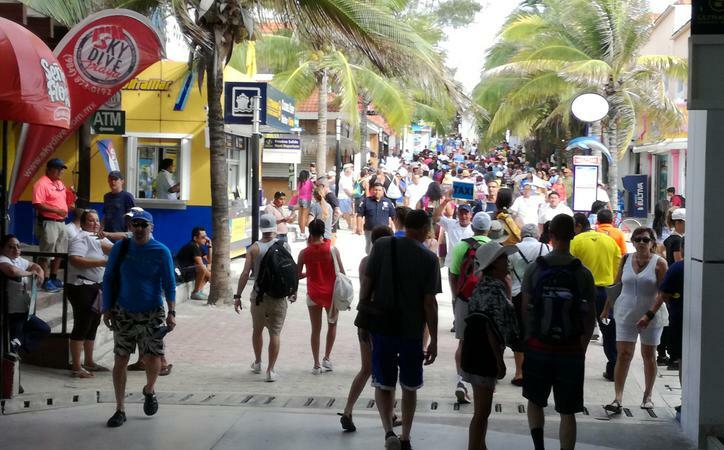 PLAYA DEL CARMEN, Q. Roo — The State’s Secretariat of Tourism Promotion (Secretaría Estatal de Fomento al Turismo) expects to reach a record high figure this summer, as the number of visitors could reach five million during this holiday season, with an average hotel occupancy of 95% along the Riviera Maya. It should be noted that during the first seven months of this year, three million tourists have visited this region. “In 2016 we had an increase of 3.5% during the same period of time in 2015, the figure went from 4.5 million visitors to 4.7 million, between 4% and 5% more, and this year we will be setting a new record”, said Dario Flota Ocampo. The Riviera Maya’s director of Tourism Promotion explained: “This increase demonstrates that our main market, the United States, keeps trusting in Quintana Roo, despite warnings or political rhetoric from their president. Besides, European countries such as Germany, and others from South America have started to become great markets for us”, Flota Ocampo declared. “In 2016, 4.7 million visitors arrived to the Riviera Maya, 71.36% of them came from North America, Canada and other Mexican states. The hotel sector registered an average of 90% occupancy rate, four percent more than the same dates last year”, he continued. “In the coming weeks, the hotel sector probably will show another record average of 95%, and when Tourism authorities announce the official figures next August, it will be possible to confirm if the three million visitors were reached in 2017”, Flota Ocampo concluded.